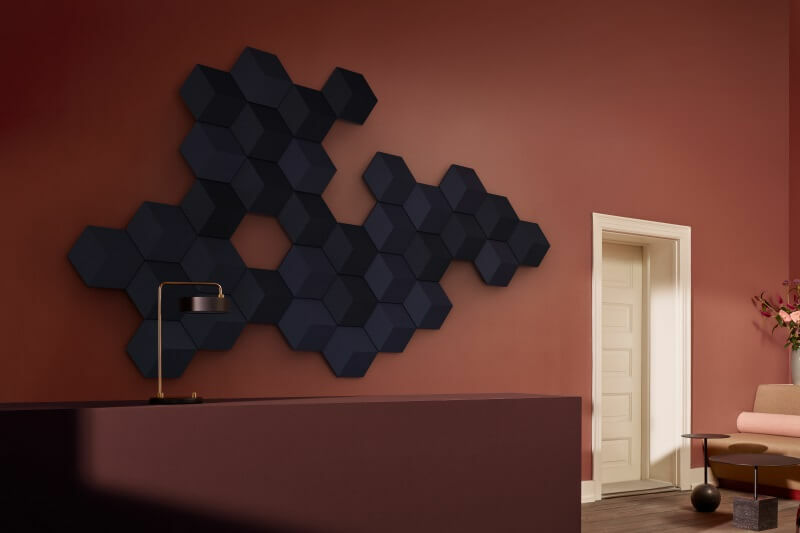 BeoSound Shape is a wireless speaker system that combines superb sound with customizable design and soothing indoor acoustics and contributes to the improvement of the indoor acoustic even when switched off. 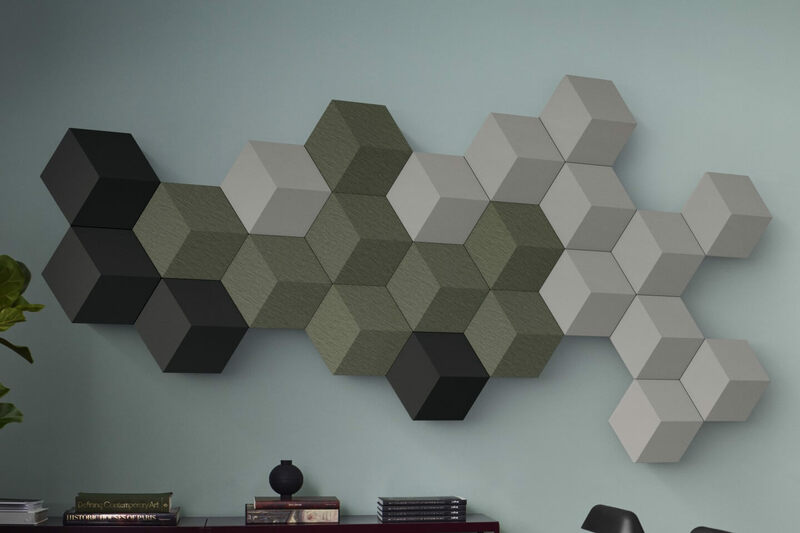 BeoSound Shape is a unique scalable wireless speaker system that can be custom designed and turn high-quality music into an interior art form. It is designed as a modular combination of hexagonal shapes that are combined in a wall decoration, which can be placed on the wall in the size and pattern you prefer. 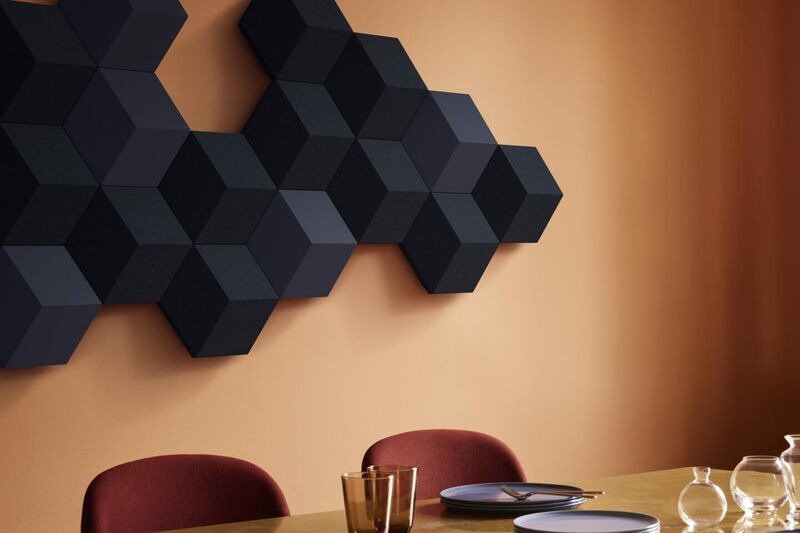 It consists of a combination of speakers, amplifiers and sound absorbing tiles that you can combine in different patterns, fabrics and colors. 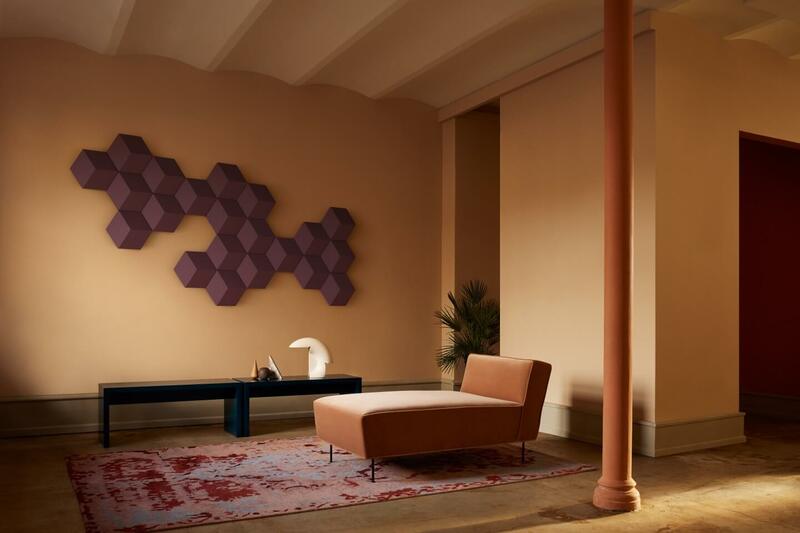 As a real-life wall of sound with an immersive music staging BeoSound Shape is the perfect mood setter – while at the same time offering unique resonance dampening features, ideal for large multipurpose rooms in our homes as well as in shops, studios, showrooms, offices and hotel lobbies. Unlike any other speaker system, BeoSound Shape is designed to provide ultimate creative freedom – letting you define the size, shape, colors and even the sound performance to match your preferences. The modular tile concept behind BeoSound Shape is based on a single geometric shape, the hexagon. 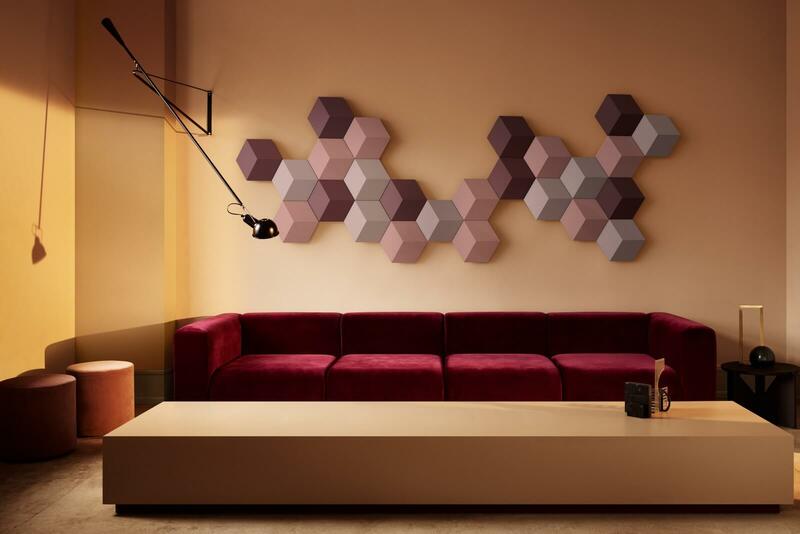 Each tile serves a function either as speaker, amplifier or acoustic damper and can be pieced together in endless combinations to serve rooms both big and small. Based on your individual design you can go from just 2 speakers to an impressive 44 speaker’s setup. The BeoSound Core connectivity hub, hidden behind a hexagonal tile, enables wireless streaming of high quality music from your mobile device via streaming technologies such as AirPlay, Chromecast built-in or Bluetooth. 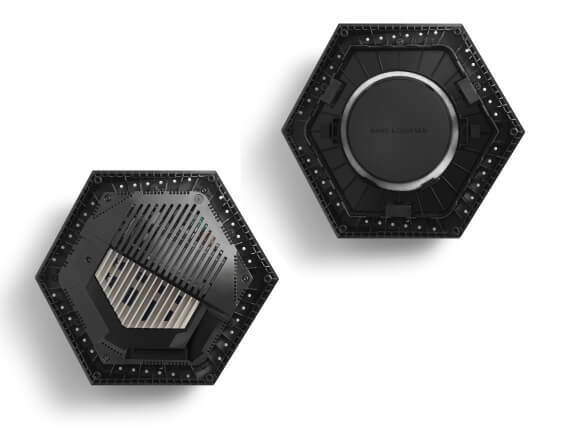 BeoSound Core also includes Multiroom- functionality making it part of the family of Bang & Olufsen and B&O PLAY products that can play different music in different rooms or let one tune flow throughout your home. A band on the wall. 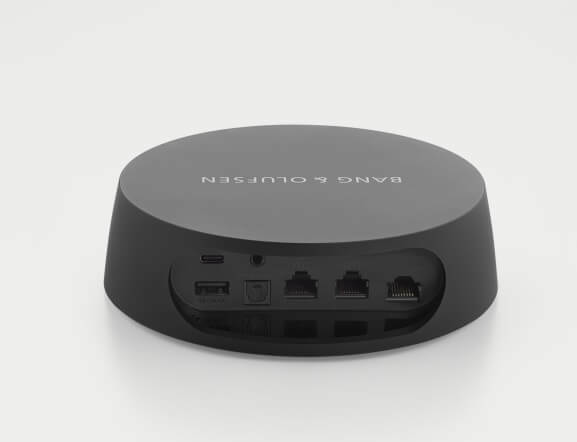 BeoSound Shape provides an immersive and social sound experience for all. 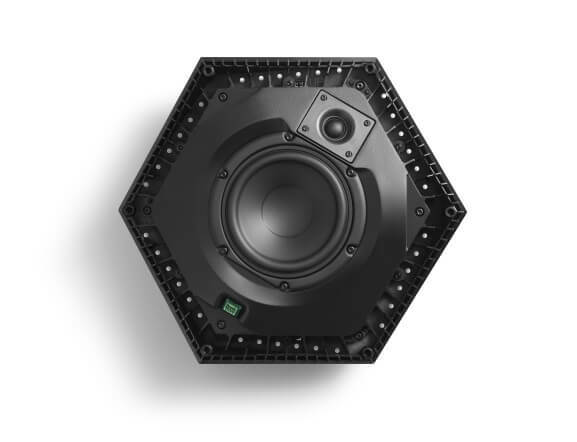 Rather than optimizing sound for a single fixed position, our unique up mixing algorithm cleverly distributes the signals across the speakers, making the correlated signal appear in the centre from every listening position. 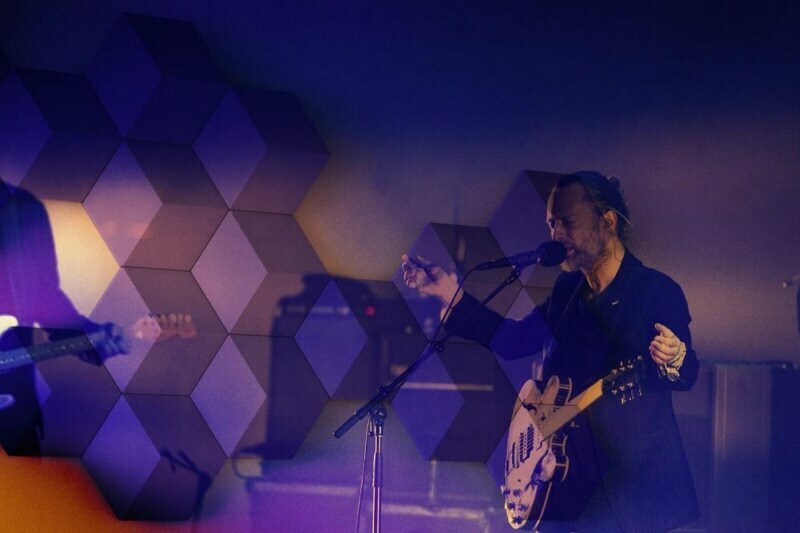 The result: Your wall becomes a stage as the lead singer materialises in the centre and instruments join in from the sides, seemingly staying in their place even when you move around. The sensation and spatiality of a live band performance is truly canny. 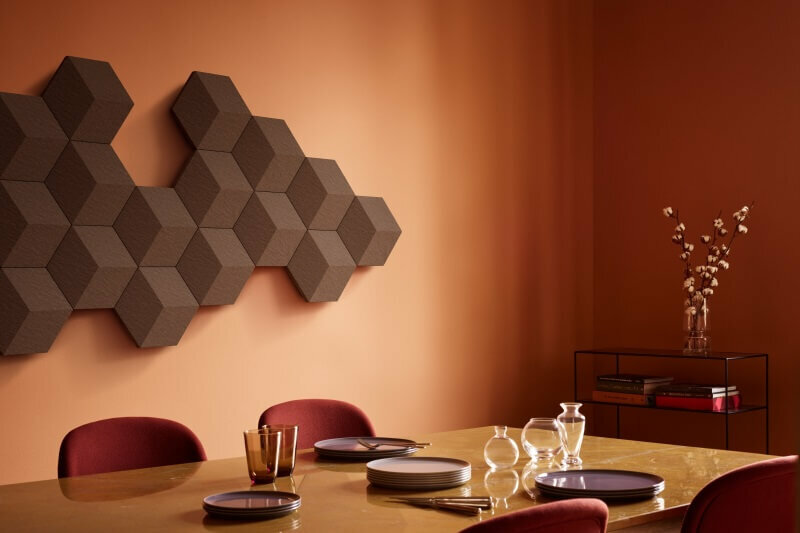 An online design tool by Bang & Olufsen is available to both visually mix and match tiles and provides acoustic recommendations for optimal placement of the speaker tiles. An important aspect of the design is the installation. 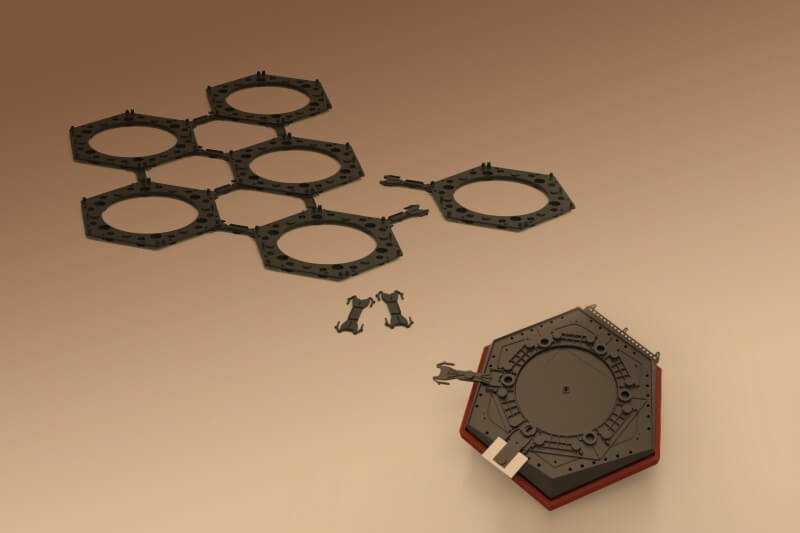 The tiles are easy to combine with a simple click-on system. The concept of BeoSound Shape is highly focused on creating an easy installation for both professionals and “Do It Yourself” (DIY). A tool will allow the customer/designer to easily design the actual look of the BeoSound Shape, and to have a suggestion to the acoustic design depending on the customer’s wishes: how many master tiles to speaker tiles, their placement, the cable management and the concealing of the BeoSound Core or the mains outlet. A star rail, which holds the design, is easily clicked together with connector rails to create the pattern you want on the wall. This means you can create the placement of the tiles on the floor before you mount the system on the wall. The star rail is screwed into the wall and then you start mounting the tiles with the electronics, the drivers and the cabling. The star rail holds the cabling in place so the installation looks neat. The needed components for the installation (e.g. 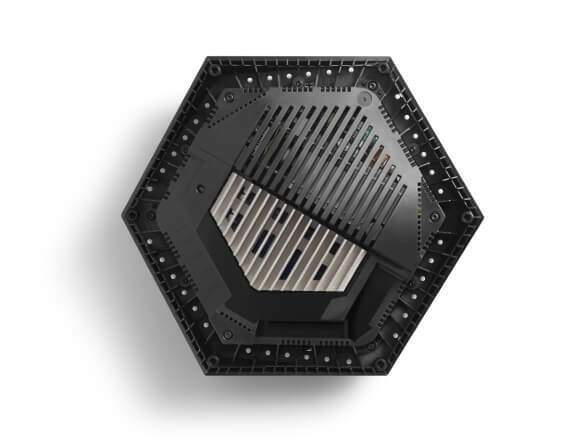 star rails and connectors) are included in the packaging along with every tile. BeoSound Shape is a uniquely flexible speaker system that can grow and evolve with the changing ways you live. 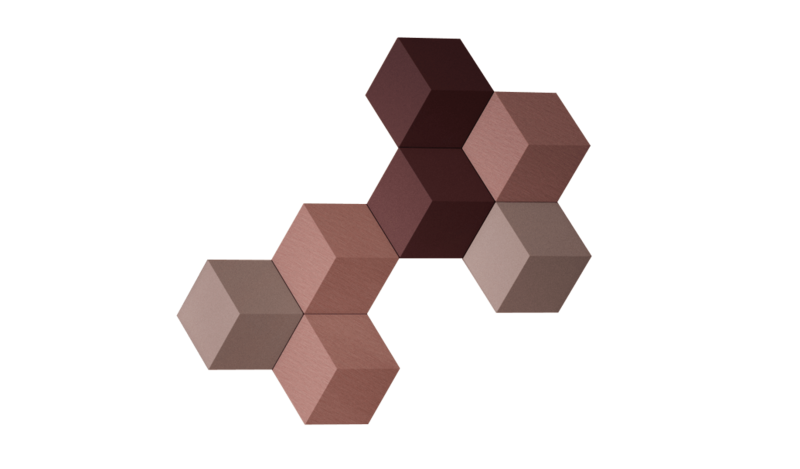 Change the colours when you redecorate or add more speaker tiles to boost sound performance or acoustic dampening properties. 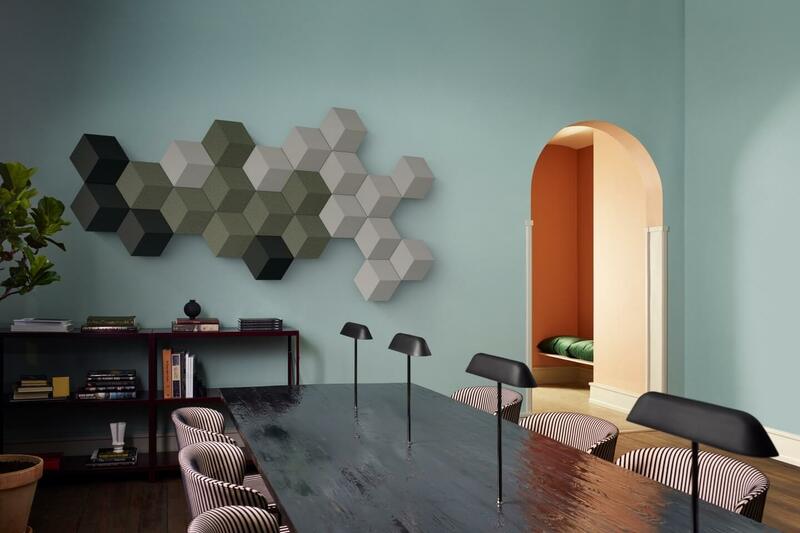 The Bang & Olufsen color-pallet includes Parisian Night Blue, Purple Heart, Infantry Green, Brazilian Clay, Wild Dove Grey and the classic Black. 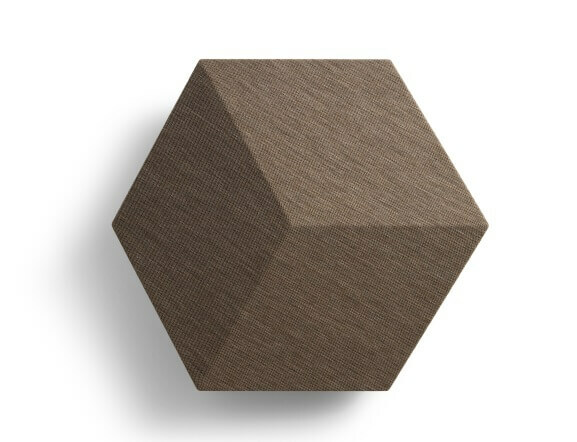 A collaboration with the renowned Danish manufacturer of design textiles Kvadrat adds the following exclusive options in terms of wool fabrics and colors: Brown by Kvadrat, Moss Green by Kvadrat, Pink by Kvadrat and Dark Blue by Kvadrat. Mix and match as you wish. A single installation can consist of up to 11 amplifiers. An amplifier package contains an amplifier and an empty tile (e.g. for BeoSound Core). You can daisy chain up to 11 amplifiers. Various cable lengths are available in the configurator. A single installation can consist of up to 44 speakers. Each amplifier can drive up to 4 speakers. For the connection of speakers to an amplifier, different cable lengths are available in the configurator. A single installation can consist of an unlimited nuber of sound damper tiles. You can change a damper tile to an empty tile e.g. to hide cables. To do this, you only have to remove the damping material. 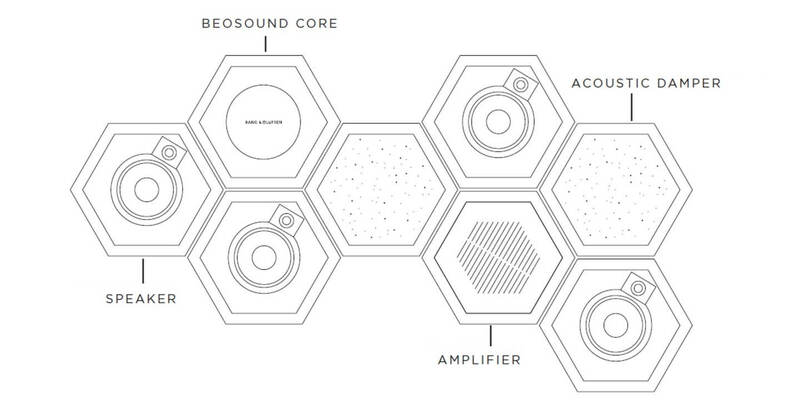 For an installation one BeoSound Core is needed. 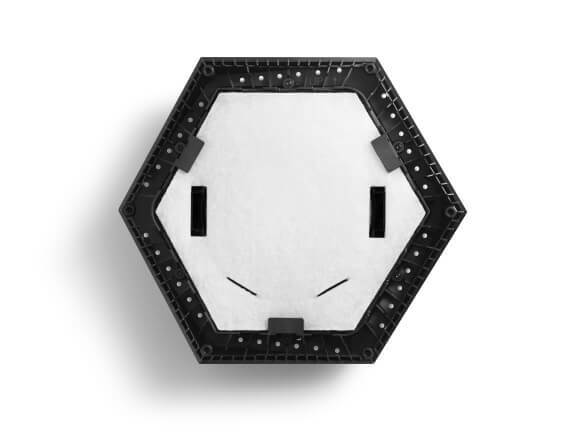 This can be hidden in an empty tile of the amplifier package. An USB cable and a Toslink cable are required for connection to an amplifier. These can be selected in the configurator. All packages contain: star rail mounting system, connectors, screws and gap absorbers. Caused by the nearly endless design options the cables need to be ordered seperately. The cables are available in different lenghts in the configurator. If you need special lengths, get in contact with us - we are happy to asist you. There is nothing like a dab of colour to add a refined personal touch to interior spaces. The BeoSound Shape colour palette currently counts 10 carefully selected quality fabrics that can be mixed and matched in every conceivable way. Fabric covers are interchangeable, making it easy to create fresh and different looks as time goes by. With a vast choice of colours music becomes an aesthetic experience too. No two configurations are likely to be the same, but each one will undoubtedly leave a lasting visual imprint on every wall and every room. You defining look and performance of BeoSound Shape. Bang & Olufsen provides an online configuration tool that allows you to design your "BeoSound Shape" easily and with lots of fun. Start building from a single tile or use one of the presets as a basis for your design – choose colours and ultimately select a sound profile that matches your needs. If multiple amplifiers are used, each amplifier requires its own AC power connection. Acoustic damper tiles can also be used as empty tiles to hide, for example, cables, power strips, or power adapters. You just need to remove the damping material. Experience BeoSound Shape in your home.